A new Nintendo Figurine Platform and a range of NFC toys that makes use of the NFC functionality in the Wii U GamePad is to be unveiled at the E3 games show next month, company president Satoru Iwata has announced. 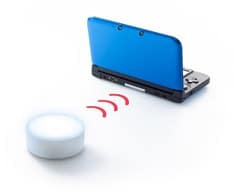 A standalone device that will enable NFC toys to be used with the Nintendo 3DS handheld console will also be introduced and NFC payments for games are to added, initially in Japan, from this summer. “We have decided to release character figurines with built-in NFC functionality that are compatible with video games starting from this year-end sales season,” Iwata explained during an investor briefing following the release of the company’s latest financial results. “We are calling the figurines by their development codename, NFP, which comes from ‘NFC Featured Platform’ and ‘Nintendo Figurine Platform’. What is especially unique about NFP is that it is not classed as an accessory product of a certain software title but as a platform itself. And it has been designed to be compatible with multiple software titles for Nintendo platforms. “In other words, the figurines, which consumers can buy and collect, are going to work with multiple software titles to be released in the future, and we are aiming to develop more software titles compatible with the figurines. “I believe a brand-new type of platform will be born when the character IP becomes compatible with NFP,” Iwata explained. 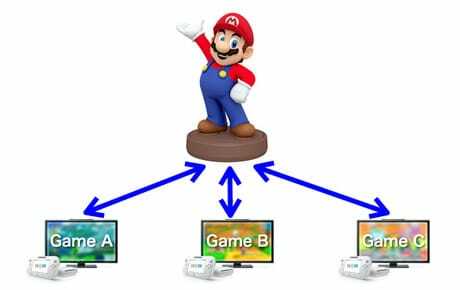 “NFP has a writer function as well as a reader function, so it can not only tell what character figurine is on the Wii U GamePad, but also a compact amount of data unique to each game can be written into it and read from it. That is to say, you will be able to customize your NFP to raise or train your own Nintendo characters, for example. “At E3 to be held in LA this June, we will announce which titles are compatible with NFP, display NFP products and disclose more specific information about NFP, which will be launched during this year-end sales season. “Currently, Wii U is the only video game platform with a built-in NFC reader/writer function. “However, I understand that some of you may be worried that the market for NFP, a platform that will work with a number of software titles, will not grow large enough when it is compatible only with Wii U. “If we can make a good use of Nintendo 3DS, which has already sold over 43m units, however, this assumption will greatly change. Nintendo has been developing an NFC reader/writer for the Nintendo 3DS family… and we are planning to launch it in the first half of the next calendar year. Support for payments via the Wii U GamePad, initially using Japanese railway company JR East’s Suica stored value card service, is to go live this summer, Iwata added. “Until now, when making digital payments, consumers needed to use their credit card or take extra time to buy a prepaid card, with which method, they have to charge a lump sum. However, the combination of NFC payments and e-money cards will make it much easier for consumers to make payments. “The e-money that can be utilized with the NFC payment function is most popular in Japan, so this function will first be tested in Japan. On the other hand, compared to other countries, it is said that Japanese people are more disinclined to use credit cards on the Internet, and actual data shows that the usage ratio of prepaid cards is much higher in Japan than in other countries. From this perspective, we think that this NFC payment function will help provide more convenience to consumers.